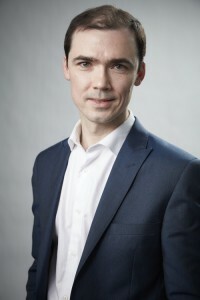 Dr Ferdia Gallagher studied medicine at both the Universities of Cambridge and Oxford before training as a radiologist at Addenbrooke’s Hospital. He undertook a PhD in Biochemistry in Cambridge as part of a CRUK Clinical Research Training Fellowship; this work focused on a new form of imaging termed hyperpolarized carbon-13 MRI that allows tumour metabolism to be imaged non-invasively in realtime. He is currently a CRUK Clinician Scientist, University Reader in Molecular Imaging and an Honorary Consultant Radiologist in the Department of Radiology in the University of Cambridge. His main interest is developing new molecular imaging methods to study fundamental biological processes in tumours that can be translated into patient care. These techniques include MRI and PET. Part of this research has involved the translation of hyperpolarized carbon-13 MRI into humans and this has involved creating a bespoke pharmacy facility to assembly the consumables for the clinical hyperpolarizer. In addition, he is currently developing methods to study tumour aggressiveness using diffusional weighted imaging and to probe tissue structure and function using sodium MRI. He is also interested in new PET tracers, such as labelled sodium fluoride to more accurately stage tumours, and cell labelling methods using 89Zr-PET. The group is also interested in the application of novel trial designs to imaging studies. He sits on the CRUK Clinical Research Committee and the CRUK New Investigators Committee. He is the Chair of the MR of Cancer Study Group within the International Society of Magnetic Resonance in Medicine 2017-18. Dr Gallagher also directs the local Academic Research Training Programme in Radiology. Oncological Imaging, Molecular Imaging, Hyperpolarised 13C – Imaging, Magnetic Resonance Imaging. We collaborate closely with MR Physics, Oncology and the CRUK Cambridge Institute. Ferdia Gallagher, International Society of Magnetic Resonance in Medicine (ISMRM) outstanding teacher award 2017. James Grist, Best Presentation Prize, British Chapter of ISMSM 2017. Fulvio Zaccagna, Future researcher award by the Royal Academy of Engineering to attend the Young Researchers’ Futures Meeting (YRFM) 2016. Fulvio Zaccagna, Translational research prize, Cambridge Cancer Centre Symposium. James Grist, MilliporeSigma Isotec travel award for 2016 World Imaging Congress. IEEE Transactions on Medical Imaging. 2017 In press. A comparison of quantitative methods for clinical imaging with hyperpolarized 13C-pyruvate. Daniels CJ, McLean MA, Schulte RF, Robb FJ, Gill AB, McGlashan N, Graves MJ, Schwaiger M, Lomas DJ, Brindle KM, Gallagher FA. NMR in Biomed. 2016 Apr;29(4):387-399. Prospective study evaluating the relative sensitivity of 18F-NaF PET/CT for detecting skeletal metastases from renal cell carcinoma in comparison to multidetector CT and 99mTc-MDP bone scintigraphy, using an adaptive trial design. Gerety EL, Lawrence EM, Wason J, Yan H, Hilborne S, Buscombe J, Cheow HK, A. S. Shaw AS, Bird N, Fife K, Heard S, Lomas DJ, Matakidou A, Soloviev D, Eisen T, Gallagher FA. Ann of Oncol. 2015 Oct;26(10):2113-8. Carbonic anhydrase activity monitored in vivo by hyperpolarized 13C-magnetic resonance spectroscopy demonstrates its importance for pH regulation in tumors. Gallagher FA, Sladen H, Kettunen MI, Serrao EM, Rodrigues TB, Wright A, Gill A, McGuire S, Booth TC, Boren J, McIntyre A, Miller JL, Lee S-H, Honess D, Day SE, Hu D, Howat WJ, Harris AL, Brindle KM. Cancer Res. 2015 Oct 1;75(19):4109-18. Gallagher FA, Kettunen MI, Hu DE, Jensen PR, in ‘t Zandt R, Karlsson M, Gisselsson A, Nelson SK, Witney TH, Bohndiek SE, Hansson G, Pietersen T, Lerche MH, Brindle KM. Proc Natl Acad Sci U S A. 2009 Nov 24;106(47):19801-19806. Magnetic resonance imaging of pH in vivo using hyperpolarized 13C-labelled bicarbonate. Gallagher FA, Kettunen MI, Day SE, Hu DE, Ardenkjaer-Larsen JH, Zandt R, Jensen PR, Karlsson M, Golman K, Lerche MH, Brindle KM.